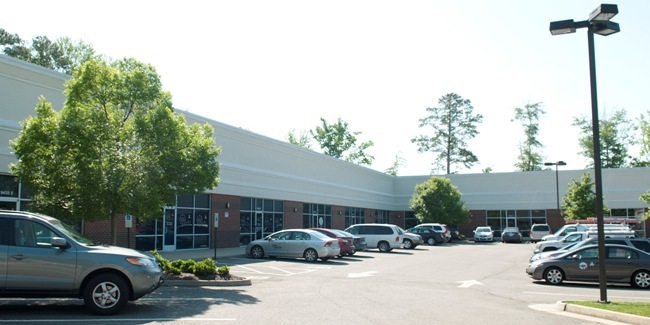 Atlee Commerce Center III is a one-story flex building ("flex space") in the park-like setting of Atlee Commerce Center in Hanover County. Adjacent to Sliding Hill Road, Atlee Commerce Center III is an architecturally attractive brick, stucco and glass flex building with higher ceilings, rear dock & drive-in (grade) level loading depending upon the unit, surface parking and generous landscaping. Atlee III was designed to accommodate a wide range of businesses needing office, light manufacturing and/or distribution/warehouse space. If your company is a well-established business looking to occupy anywhere from 2,000 to 10,000 square feet of space, Atlee III should provide the right fit.